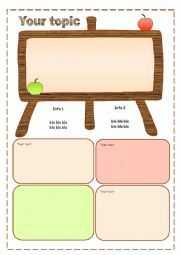 In this page you will find templates that you can choose to make your own worksheets or powerpoints. 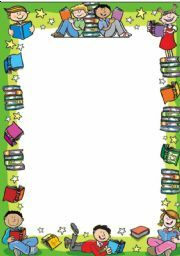 These templates are offered for free by generous members, and you don't need any point to dowload them. This frame IS NOT MINE. But I just love it. The name of the author is ASMA CORP. Enjoy! 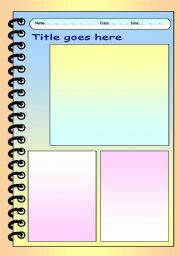 This file contains 10 free templates: notebook, spiral notebooks and clipboard. Enjoy! 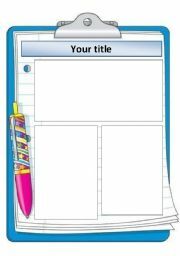 Notebook template for worksheets, made with word shapes (54kb) just add text boxes to insert your content. Fully editable. Hope it�s useful. A simple Template very useful when creating a Pictionary. Totally editable. Hope you find it useful!! 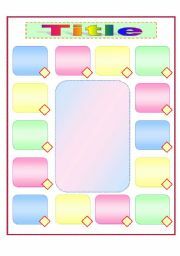 You can use it for making different exercises and it is especially good for reading texts. 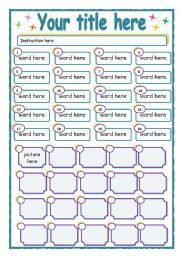 Fully editable template that can be used for a Matching activity. Hope you find it useful!! 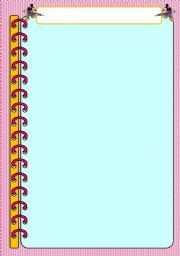 Landscape spiral notebook layout that can be easily edited to your needs. You can add or remove text boxes, format them and add whatever else you want. 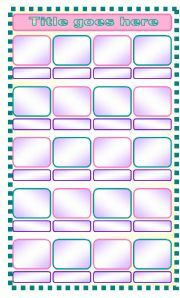 A funny template to use as a message board, or as a poster... Hope you find it useful. 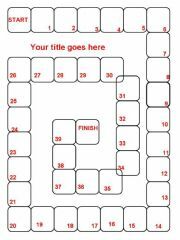 ASSOCIATION GAMES TEMPLATE - free and you can actually play it!